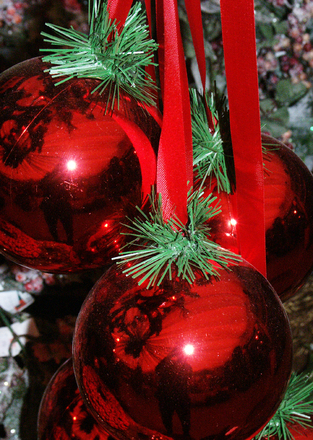 Christmas Party Event Planning - Event Planners Unite! 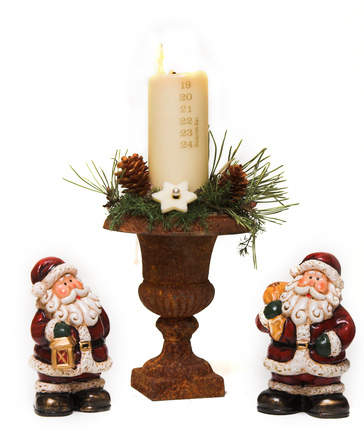 The holiday season is something that most people look forward to all year, and Christmas is the one holiday that most people anticipate the most. While Christmas morning is the culmination of the holiday season, a good Christmas party can add to the joy of the season. Hosting your own Christmas party is a great way to spend time with people who are close to you that you will probably not be able to see on the actual holiday. Making your Christmas party a success can be difficult, but we provide advice to help make the entire process easier. With a little bit of hard work, proper organization, and planning you can host a fantastic Christmas party. The time leading up to Christmas is extremely busy as people spend time shopping, prepare to travel, and plan their own events. It is important to not only choose a date for your party that is convenient for you, the date you choose must also accommodate your potential guests. Spend time talking to coworkers and close friends to find out their schedules and set a date that is early in December (before the last minute Christmas rush) and is convenient for a majority of your potential guests. Christmas parties are often decadent, but it is important that you do not go overboard when planning your own event. Always set a firm budget and work within that budget when planning your party. While you want to hold a memorable party, the last thing you want to do is risk overspending prior to Christmas. Knowing what you can afford will make choosing other aspects of your party easier. The location of your Christmas party can often set the stage for an extremely successful event. Having a party at your home is an easy, affordable, option; but hosting a Christmas party at your home severely limits the number of guests you can invite and means you are responsible for cleaning up afterwards. Reserving space in a restaurant, bar, or other venue will give you more flexibility allowing you to invite a larger group of people. Contact businesses that rent out space for parties and find out if they are available on the date you have chosen. Also, ask them if you can bring outside food to their location. Once you have secured a location it is time to invite your guests. Traditional paper invitations are always appreciated, or send emails if you are inviting a large number of people (coworkers, classmates, etc.) making digital invitations more convenient. Include a telephone number or email address on the invitation and ask your guests to RSVP. Catering your Christmas party is the best way to make sure that your guests have quality food without forcing you to spend valuable time cooking. In many situations the venue you have secured will cater the event for an additional fee. 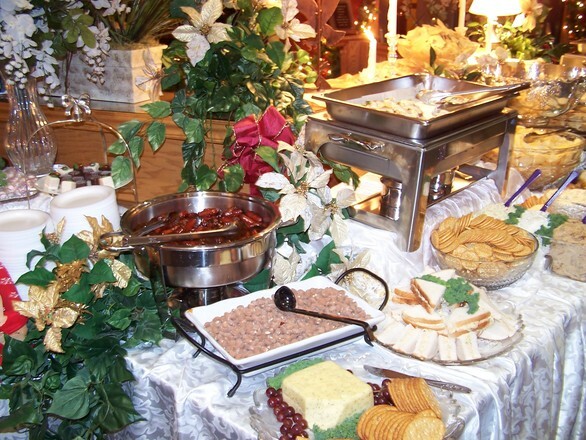 If the location does not offer catering contact grocery stores and restaurants to discuss their catering menu. If you are hosting a smaller party a menu that charges a per person rate may be ideal, but if you are having a larger party consider ordering a variety of party platters that cost a flat rate. On the day of Christmas party spend time making your location festive. Find out how early you can arrive at the venue you have secured to begin decorating and plan to use every second of time that they allow. Set up Christmas themed decorations, table clothes, some centerpieces that will bring out the holiday spirit in your guests as soon as they arrive at your party.